I have always been a movie and music junkie and my 5.1 home theater system rooted in Proceed and Lexicon electronics and amplification, Revel Performa Speakers and a Revel Ultima Sub 30 subwoofer, provided years of immense home theater enjoyment. I recently sold everything, however, save a Pioneer Kuro 60-inch plasma and a lot of cables, because I wanted a simplified system, one which embraced Robert Browning's famous adage, "Less is more." • Read more floorstanding speaker reviews from HomeTheaterReview.com's staff. • Explore subwoofer options in our Subwoofer Review section. • Find an amplifier to drive the Sophias in our Amplifier Review section. I enjoy New York City apartment living and it is challenging to find room for, let alone to handsomely wire, a 5.1 speaker system into an 800-square-foot living space. I desired to return to my roots with a two-channel system that established a reference listening experience in my home without all the clutter and excess that 5.1 systems sometimes exert over modest listening areas. When Jerry Del Colliano, friend and publisher of HomeTheaterReview.com, offered me the opportunity to audition Wilson Sophia Series-3s in my home as part of a system-redesign and write this review, I jumped at the chance. My approach in moving from a 5.1 to a two-channel system was simple: consolidate assets and make them blue-chip. I deliberately spent the vast majority of my budget on speakers. There are many enthusiasts who will sneer at the idea of going speaker-strong, preferring to spend more on electronics and amplification. However, I believe that with recent frequent advances and commoditization of high-end technologies, unless you can afford to spend the super big bucks on electronics with names like Levinson, Bel Canto, Krell or Classe, there are products that capture 95 percent of the listening experience at a fraction of the price. I decided that the Wilson Sophia 3 Speakers ($16,700/pair) would be paired with an Oppo Blu-ray Disc Player BDP-95 ($999), a Benchmark DAC1 HDR preamp ($1,895) and an Aragon 4004 two-channel amplifier. A Verizon FIOS Cable Box and Transparent Cables rounded out the equipment profile of the new two-channel entertainment system. 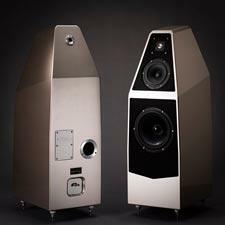 Wilson Sophia 3 speakers come in four standard colors: Black, Titanium, Desert Silver and Argento Silver. They are hand-painted with WilsonGloss paint and can be produced in any color imaginable. I chose standard Titanium, which is neutral enough to match my décor, yet more distinguished than Standard Black. It has been my observation that Wilson Speakers hold their resale value best in standard colors, so if you choose a custom color, say, metallic lime green, it should be one you love and can live with for the long haul. The finish on the Sophia 3s is gorgeous. Polished to a high gloss, the finish is like that on a luxury automobile, instilling a high pride of ownership from the moment you uncrate the speakers. The Sophias are refined and speak of sophistication. No wood veneer here. Wilson has made many changes to the new Sophia Series-3 speakers. It would clearly be a mistake to assume they are a mere evolution of the Sophia product line. 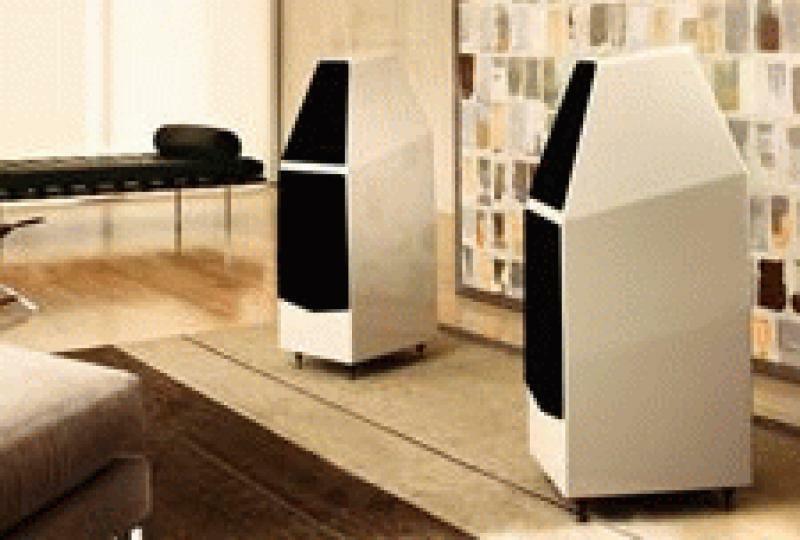 Wilson has borrowed technologies from other speakers in the Wilson family, mainly the pricier Sasha W/P ($26,900), which qualifies it as an entirely new loudspeaker. According to Wilson, the Sophia 3 has thicker upper and lower enclosures and internal bracings, which contribute to greater cabinet rigidity and lesser resonance and coloration. It is for this reason that older Sophia models are not upgradable to new Sophia 3s. The Sophia 3 also has a new crossover, as well as a new one-inch inverted titanium dome tweeter and seven-inch midrange driver, both of them sourced from technologies used in the MAXX Series 3 and Sasha W/P. Finally, the new 10-inch aluminum woofer has a magnet twice the size of those found in earlier models. Bucking the conventional approach of having a Wilson dealer set up the Sophia 3s, a service included in their purchase, I decided to embrace the challenge and perform it myself. I have set up many systems before and had the opportunity to watch acoustician Bob Hodas calibrate my previous 5.1 system. Performing the Wilson set-up would allow me to better understand the subtle nuances - for better and worse - of the speakers for this review. Wilson provides detailed step-by-step set-up and voicing instructions (called the Wilson Audio Set-up Procedure or WASP) in their simply-worded Owner's Manual. Clearly, Wilson expects some owners, many of whom acquire speakers second-hand, to perform the set-up procedure themselves, or the company would not have taken care to provide detailed guidelines in their Owner's Manual. Performing WASP is easy and the manual provides a worthwhile education, for those who require it, in how room acoustics and shapes affect sound quality and play a pivotal role in speaker placement and orientation. The set-up process presents several distinct challenges. First and foremost is taking delivery and uncrating. Each Sophia 3 speaker is a floor-standing, single-body construction and arrives in a 243-pound, large custom wooden crate. This is unlike Wilson Sasha W/P, Sophia's bigger sister, which is constructed in multiple sections and ships in smaller, more manageable wooden crates. Second, Sophia is heavy. Milled of proprietary resin materials - X-Material and S-Material - each speaker weighs 165 pounds. It requires two people to stand each crate upright and roll each speaker on its industrial casters from its wooden tomb. The consequence of a mistake during this process can be drastic, such as damaging the speaker's finish. Suffice to say I needed to contain my excitement and move slow. After hooking Sophia to my Aragon 4004 amplifier, using Transparent Ultra Speaker Cables, and spending a few minutes establishing a reasonable listening position, I carefully removed the protective film. The speaker break-in period lasted several weeks and I noticed a significant change in sound, which enabled me to put final touches on the speakers' position and orientation to suit my tastes. One of Wilson's goals in designing the Sophia was to make it accommodating to modest associated equipment and a casual listening environment. I found it easy to get the Sophia 3s to image beautifully. Determining optimal placement where the bass was to my liking, however, was more challenging. Providing the rear-ported Sophia 3s room to breathe, away from rear and sidewalls, was critical to obtaining the most ideal listening position. I was now ready to begin the evaluation. I have been listening to a lot of jazz lately, so what better place to begin than with two widely-known Rudy Van Gelder 24-bit remixes from Blue Note: Lee Morgan, "The Sidewinder" (Blue Note 84157, RVG, 1998) and Art Blakey and The Jazz Messengers, "Moanin'" (Blue Note 4003, RVG, 1998)? Read more about the performance of the Wilson Sophia 3 loudspeakers on Page 2.